Summertime means travel and to travel, you’ll need wheels. What better way to travel than with some pink wheels. 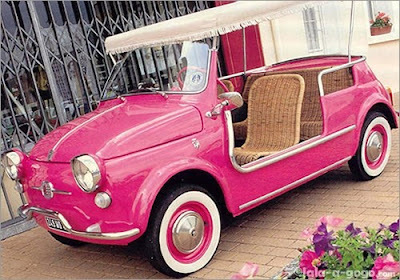 Today you can enjoy this segment of Pink and Green Thursday with some pretty ways to get around town and around the world in style. 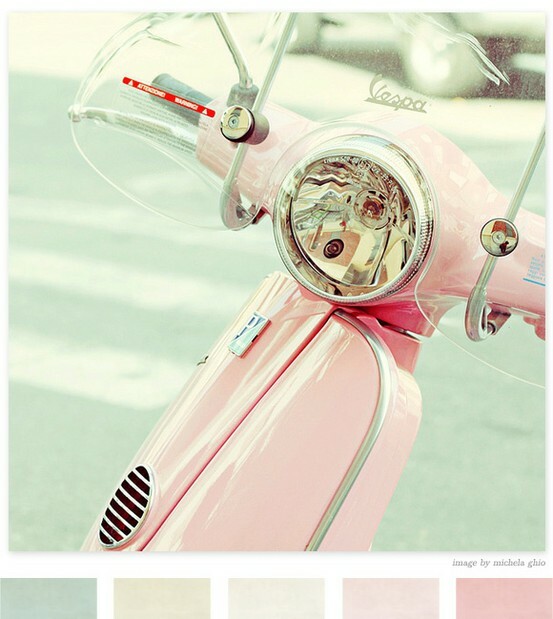 This pink beach cruiser is beyond adorable! From the wicker seats to the fringe on the cover, you’ll be the belle of the beach in these pink wheels. Retro is so chic. If you’re the around the same age as me, you probably remember riding little cars that went in a circle just like these at carnivals and fairs. I love vintage cars…almost as much as I love pink. 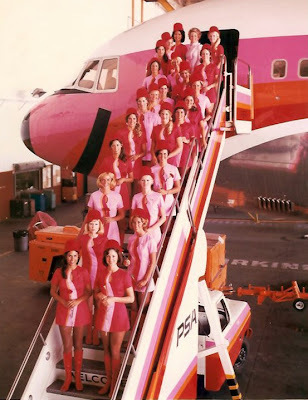 A pink airplane and flight attendants wearing pink? It’s camouflage for preppy peeps who travel by plane. Don’t you love it? Having girls is so much fun because you can relive your own childhood with their toys and clothes! 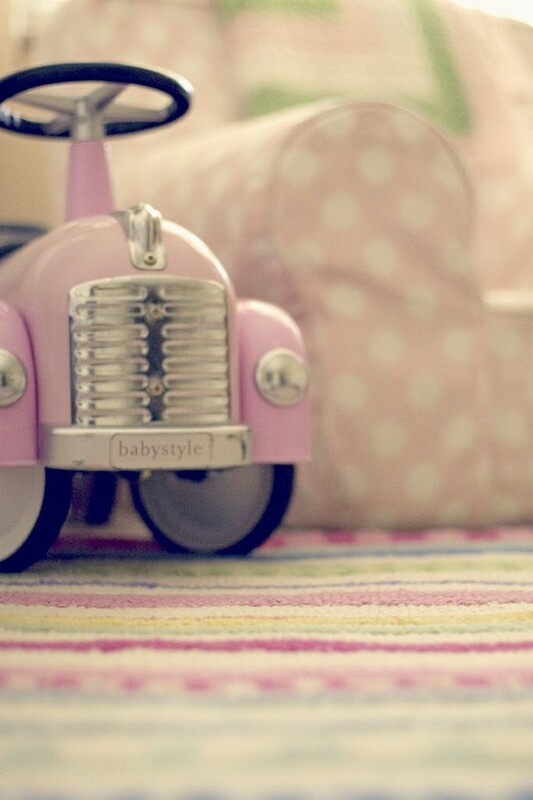 This little car is perfect for your little pink loving princess to scoot around the playroom. 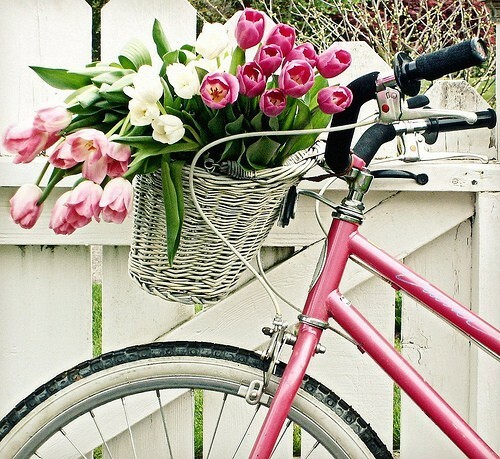 A pink bicycle is a perfect way to get around town during the summer. The wicker basket is a must but flowers are optional. Ride your bike to the marina to jump on your pink boat! 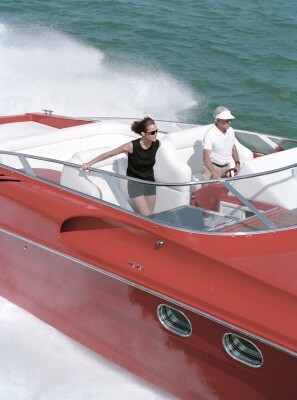 Something about this boat just screams Duran Duran video circa 1985. If a pink bicycle is too slow for your speed, try a pink Vespa. I love this! 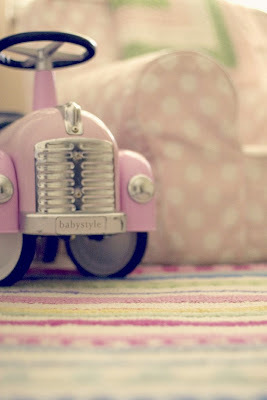 I fondly remember having a pink bicycle as a child and some kind of pink hot wheels type vehicle and loving them. 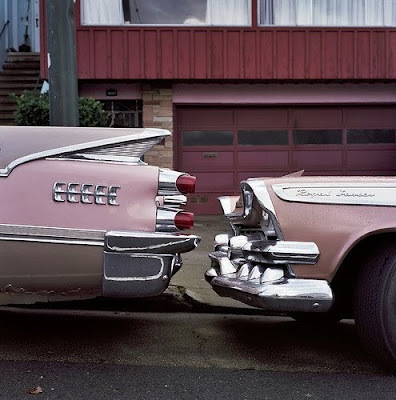 What pink wheels have you had in your lifetime? What pink wheels would you like to have? Thanks for sharing - love all your posts! The beach cruiser is to cute.